In order for my CV not to be a ridiculous length, here is the full version, including all the arts projects I have been involved in, many of which are edited from my CV. 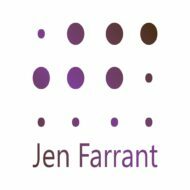 Jen Farrant helps organisations to develop and share their story at a strategic level through consultancy, research and evaluation, and practically through photography and writing. She holds a MA Arts Administration and Cultural Policy from Goldsmiths; Professional Diploma from Chartered Institute of Marketing; PGCE (PCET) and a BA (hons.) Theatre Studies. Developing and managing the public relations campaign, including strategy, reporting on narrative and statistical data, content generation, creating and delivering training programmes and collateral, including a video series. This role requires a strong understanding of the arts & cultural sector, as well as issues facing the education sector. Delivering development days for schools, including Headteachers and SLT/SMT around the new Artsmark. In order to address SLT concerns around embedded the arts more firmly into a school’s culture, current knowledge of educational issues is essential. Managing Artsmark programme across region, including managing consultants and administration team. Lecturing about educational theory and creativity on the ADPA course to a group of adult learners. Evaluating a week long research and development project investigating ways of making conducting more accessible for disabled people. Developed an evaluation methodology against existing goals, including on-camera participant interviews and questionnaires to provide quantitive and qualitative data. Analysed all data, including a significant amount of film footage, to write a substantial report. Read the full report. A short project examining existing museum practice, through desk based research, for the sale of museum published books. The final report included recommendations for Thurrock Museum on how to promote and sell their books. This involved developing a research plan, questionnaire, conducting ten interviews (in-person and by phone), analysing the results, writing a report with recommendations and then implementing these by developing a pilot toolkit, testing this and then working with a designer to create a finalised product. Supporting schools and organisations to develop and implement Arts Award within their setting. This included developing the strategic plan, managing budgets, presenting on Arts Award and developing relationships. A key part of this role was analysing the data provided by Trinity College London and comparing this to Bridge activity to identify impact. The data was also used to develop strategic plans for Arts Award work within the Bridge. Organising a street festival, as well as promoting a full programme of cultural events happening within Thurrock. Providing support and encouragement for schools involved in this project t complete their Arts Award. This includes arranging training and meeting with the schools. Working with three schools to arrange a science fair with all of the children going to work at another school. Included arranging a keynote speaker, conferencing this to all the schools, arranging all logistics, including moving staff and students around the venues. Supporting Thurrock Music Services in integrating Arts Award into their Friday Afternoons project and then supporting the schools taking part in the programme to complete their Awards. Supporting teachers and directors during rehearsal days and ensuring performance day runs well and according to schedule, liaising between teachers, pupils, director and technical team. Liaising with artists, schools, technicians, venues, etc to run the Thurrock aspect of this project. Researching and writing a report on accreditations in the performing arts education sector, making recommendations. Working with various partners in the region to manage education and theatre projects, including European partners, the Royal Opera House, YMCA, a college and a school. Providing business advice, strategic planning and implementation, including fundraising, website development, trustee liaison and managing commercial work. Ensuring performance day runs well and according to schedule, liaising between teachers, pupils, director and technical team. Running the show and managing the technical rehearsal during stage management duties. Full ownership of a community festival, including management of artists, community and stakeholder liaison, budgeting, planning, reporting, evaluation and general running of the project, including managing the show on the day. Part-time role, teaching: AS English Language; A2 English Literature; GCSE English; Functional Skills and BTEC National Diploma Performing Arts (business studies). I had full teaching roles & responsibilities. Chase is a ‘National Challenge School’ in a deprived part of Southend. Maternity leave cover. Marketing Manager: Strategic planning and implementation of marketing. Marketing Manager: All marketing activities for company, a telecoms reseller, targeting companies with 25-1500 employees. Account Manager: Marketing and PR agency: Running, implementing & managing variety of client accounts. Brodeur Worldwide, Slough, Berkshire (July 2000 – July 2002) Snr Acc. Exec, Account Executive, Client Administrator. September 2003 – May 2004. East Berkshire College, Maidenhead. 1997-2000. University of Huddersfield, West Yorkshire.